Former Tourism Minister Elena Udrea’s request for political asylum in Costa Rica has been turned down by an administrative committee, digi24.ro informs. Veronel Radulescu, Udrea’s lawyer, says the ruling will be challenged in court. Radulescu said on Wednesday that an administrative committee on immigration has rejected the request for political asylum in Costa Rica for the former Tourism Minister and Regional Development Minister. The lawyer added that the ruling is not final and will be challenged in court, so that the request will be analysed by judges in the coming period. In late December, a court in Costa Rica decided to release Elena Udrea and Alina Bica from preventive arrest. Elena Udrea and Alina Bica’s lawyer had filed an application for release to the Criminal Court in the Pavas district, on the outskirts of San Jose. 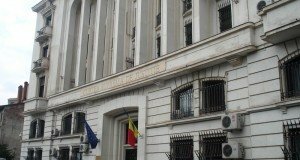 The Office for Technical Assessment and International Relations with the Public Ministry of Costa Rica presented official documents stating that Romania has canceled the extradition request. In this context, the court decided on December 25 to release Elena Udrea and Alina Bica from custody. 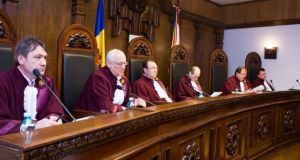 The High Court of Cassation and Justice (ICCJ – Supreme Court) suspended in December the sentence for Elena Udrea in the ‘Bute Gala’ file, in which she had been sentenced to 6 years in jail for bribe taking and abuse of office. The decision came after the Constitutional Court decision on the 5-judge panels with the ICCJ as they were declared illegal. Elena Udrea and Alina Bica were in detention in Costa Rica since October 3, based on Interpol warrants issued upon the request of Romania. Elena Udrea said in an interview with television broadcaster that she has been the victim of the system and launched a new attack against President Klaus Iohannis. Elena Udrea also said she does not know if she would return to Romania. 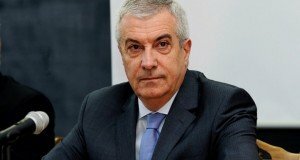 “I left Romania not because I want to travel around the world, but because it became obvious, now it’s obvious too, that everything that occurred, even the Constitutional Court’s decision repealing so many ICCJ rulings, among them regarding me and Alina Bica – it’s obvious I was right and we’ve been the targets of abuse in our country. We’ll see what happens, it depends on the developments in Romania,” Udrea said in December.